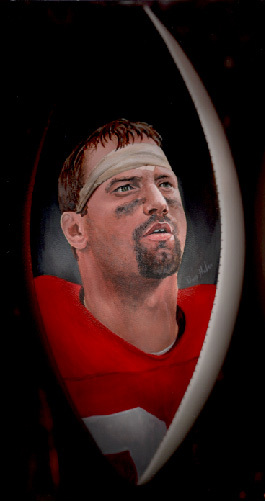 Chris is one of my favorite players from Buckeyeland and I enjoyed painting this portrait of him. I added the headband from a photo that he was wearing as a professional. To me it says Spielman.